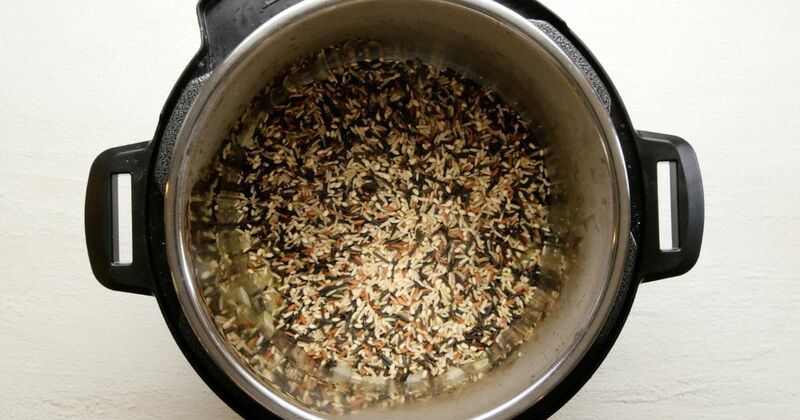 Wild rice resembles rice in shape and cooking methods, but it isn’t rice at all. In fact, it’s the seeds of a grass plant native to Canada and the Midwest. It has been a staple in North American menus for generations, but it can be difficult to cook it just right. If you don’t cook it long enough, the grains are tough. If you cook it too long, they turn gluey. This Instant Pot method turns out a perfect wild rice pilaf every time. 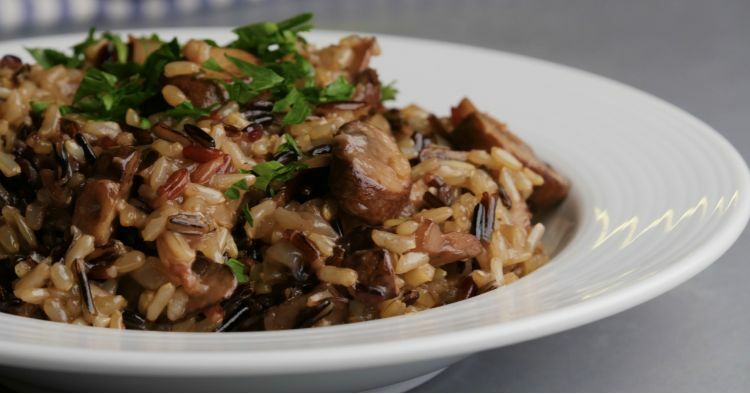 Cook this wild rice in broth, flavoring it with onions, garlic, mushrooms, wine and fresh thyme. Serve this staple alongside any roasted meat for a holiday-worthy side dish. If you have leftovers, you can turn them into beautiful wild rice salads. Heat the oil in the Instant Pot using the sauté function. Add the onions and cook, stirring frequently, until softened, about five minutes. Add the garlic and cook, stirring, for one minute more. Stir in the wine and cook, stirring and scraping up any browned bits from the bottom of the pot, for about two minutes. Choose Cancel/Keep Warm to turn off the sauté function. Add the rice, broth, mushrooms, thyme and salt. Close the lid and turn the valve to the sealing position. Choose high pressure and set the timer for 25 minutes. When the cooking time is up, let the pressure release naturally for 15 minutes, and then quick release any remaining pressure.